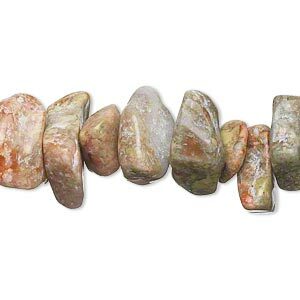 Bead, ocean jasper (natural), medium chip, Mohs hardness 6-1/2 to 7. Sold per 36-inch strand. Delightful multicolored and orbicular patterns in a solid, strong jasper. 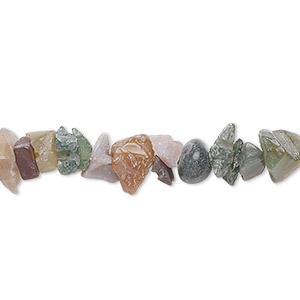 Metaphysically thought to promote balance of physical, intellectual and emotional bodies. Chips range from small to medium with an average size of medium. 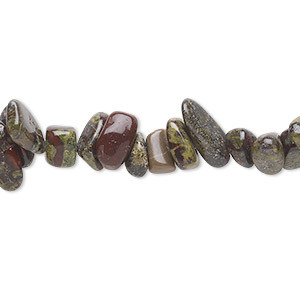 Bead, fancy jasper (natural), extra-large top-drilled Hawaiian chip, Mohs hardness 6-1/2 to 7. Sold per 15-1/2" to 16" strand. 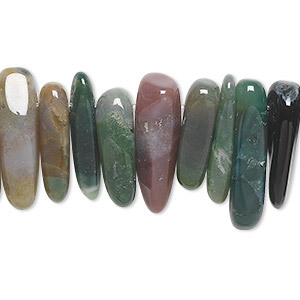 Bead, fancy jasper (natural), medium chip, Mohs hardness 6-1/2 to 7. Sold per 36-inch strand. 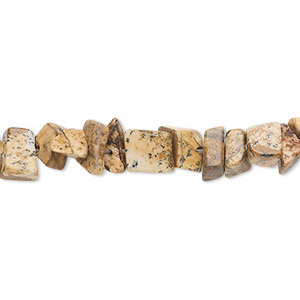 Bead, autumn jasper (natural), extra-large chip, Mohs hardness 6-1/2 to 7. Sold per 15-inch strand. 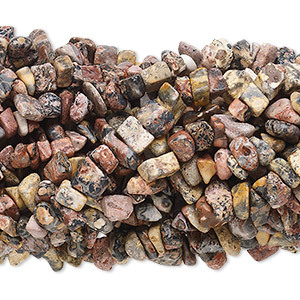 Bead, dragon blood jasper (natural), medium chip, Mohs hardness 6-1/2 to 7. Sold per 36-inch strand. 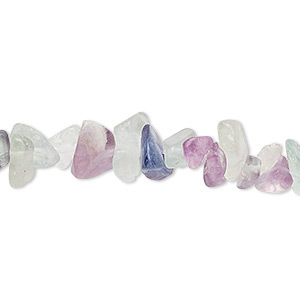 Bead, rainbow fluorite (natural), medium chip, Mohs hardness 4. Sold per 36-inch strand. 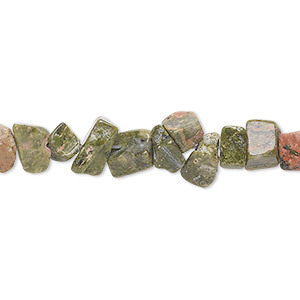 Bead, unakite (natural), medium chip, Mohs hardness 6 to 7. Sold per 36-inch strand. 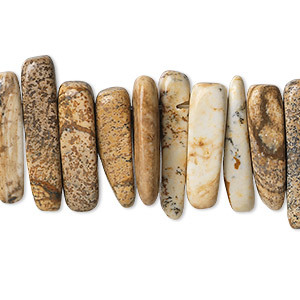 Bead, picture jasper (natural), extra-large top-drilled Hawaiian chip, Mohs hardness 6-1/2 to 7. Sold per 15-1/2" to 16" strand. 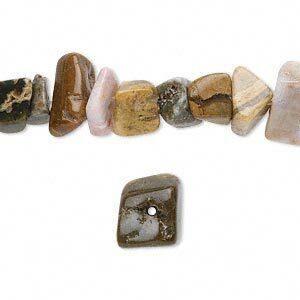 Bead, picture jasper (natural), medium chip, Mohs hardness 6-1/2 to 7. Sold per 36-inch strand. 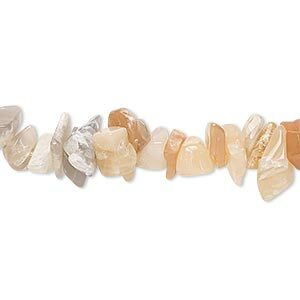 Bead, multi-moonstone (natural), medium chip, Mohs hardness 6 to 6-1/2. Sold per 36-inch strand.